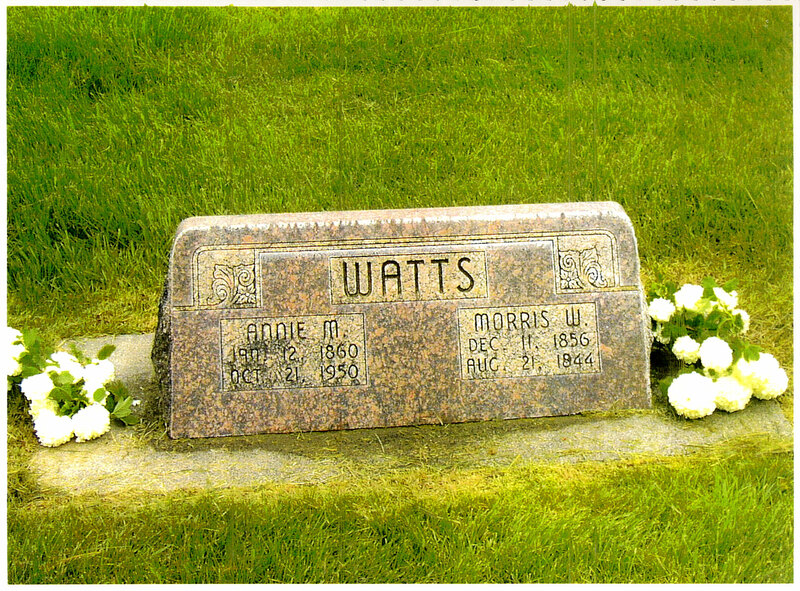 Morris Walker Watts was born in Crawfordville, Iowa, on December 11, 1856. 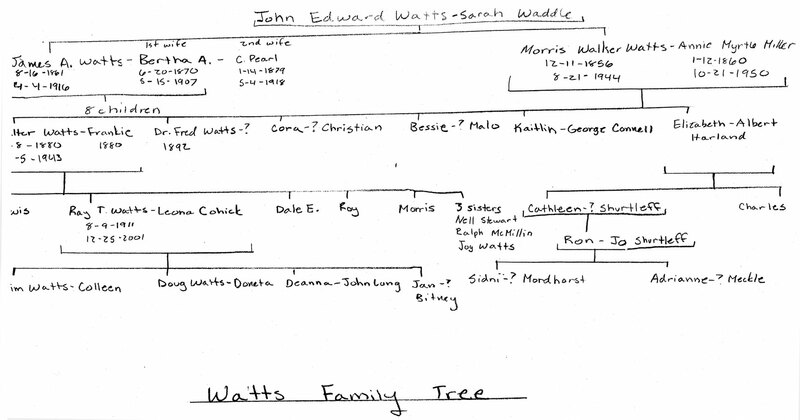 His parents were John Watts and Sara Waddle-Watts. 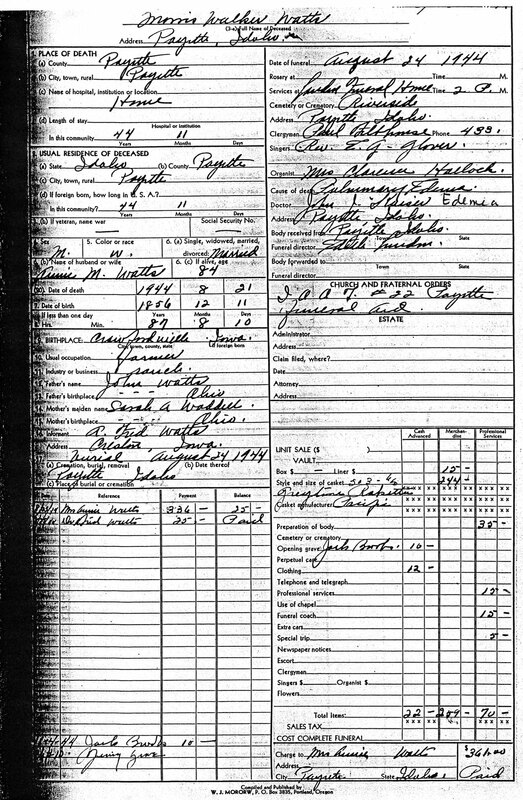 He married Annie Myrtle Miller Watts on May 18, 1879. 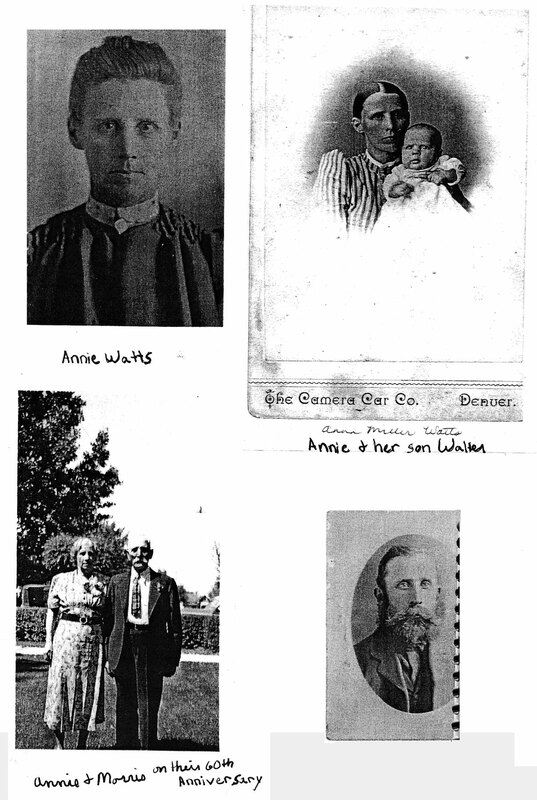 They had Walter, their first child, on February 8, 1880. After Walter, came Cora, Fred, Myra, Bess and Kate, who were twins, and finally Elizabeth. 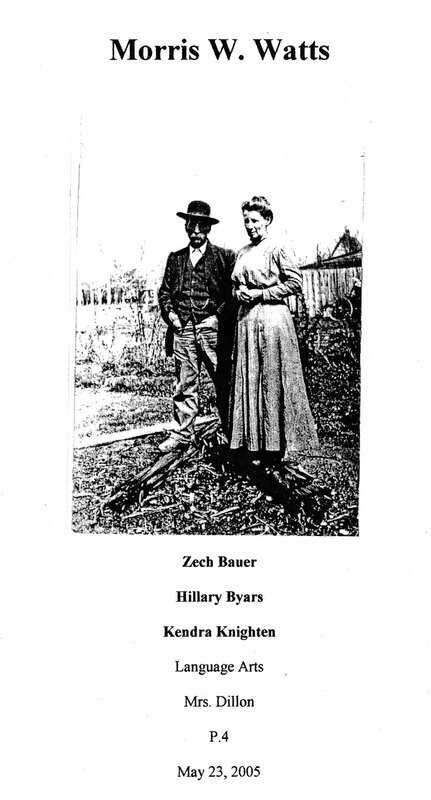 They moved to Payette, Idaho in May of 1900. 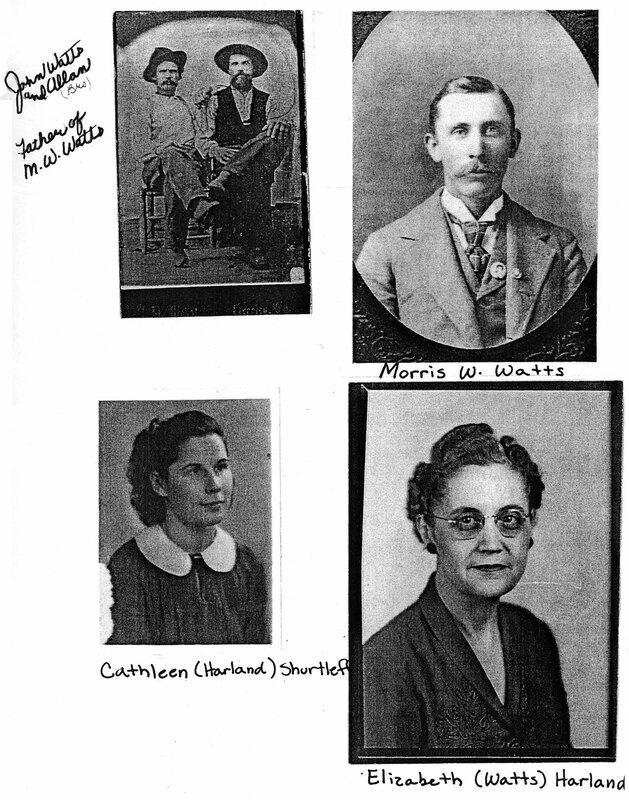 Morris became a farmer in the Canyon County Irrigation District, while Annie became a teacher. They didn’t have much money, but they got by on what they had. 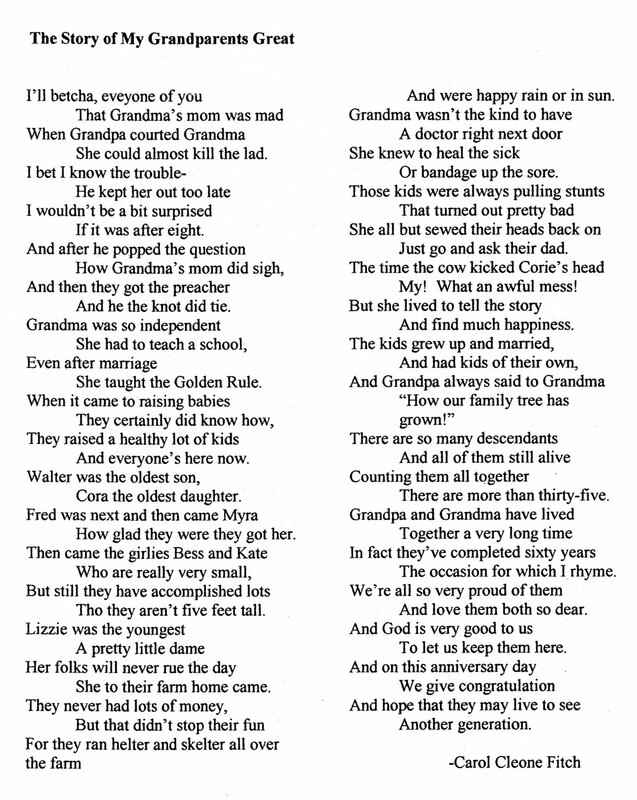 Morris and Annie Watts celebrated their 60th Wedding Anniversary on May 18, 1939. They held and open house on their lawn in the afternoon. They served punch and wafers to over a hundred guests. Each guest was given a party favor. 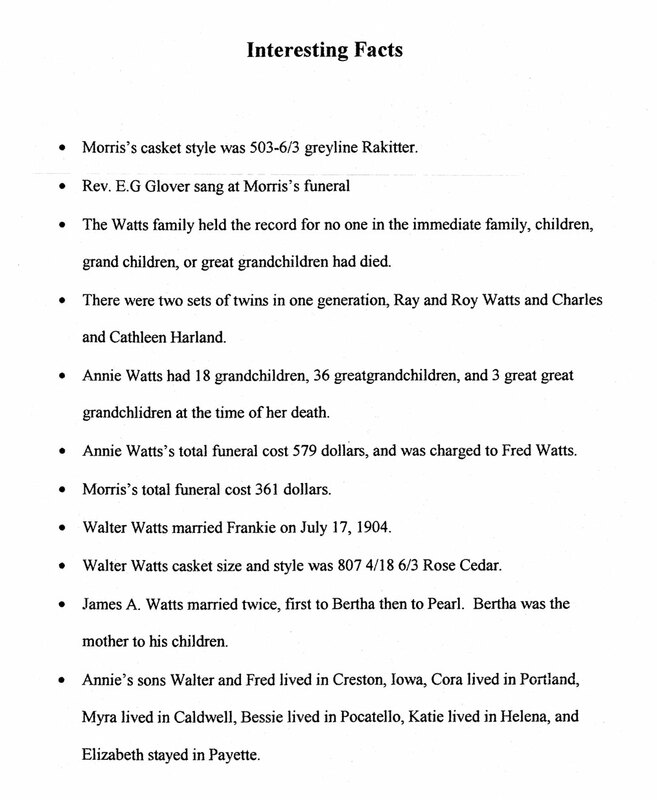 Four years later, on June 5, 1943, their eldest son Walter Watts died. He had been acting as the floor manager at the dances held by the Eagles every Saturday. That night, he had gone to the Bancroft Tunnel to prepare for that night’s up-coming dance. He had been found lying on the floor by some of the first arrivals. Upon finding him, they immediately contacted Dr. I. R. Woodward. Mr. Watts was declared dead upon the doctor’s arrival. He had not previously complained of any feelings of illness, and earlier that day had stated that he felt better than he had for awhile. On August 21, 1944, Morris Walker Watts died of the ripe old age of 87. He died of pulmonary edema, a build up of fluid in the heart. 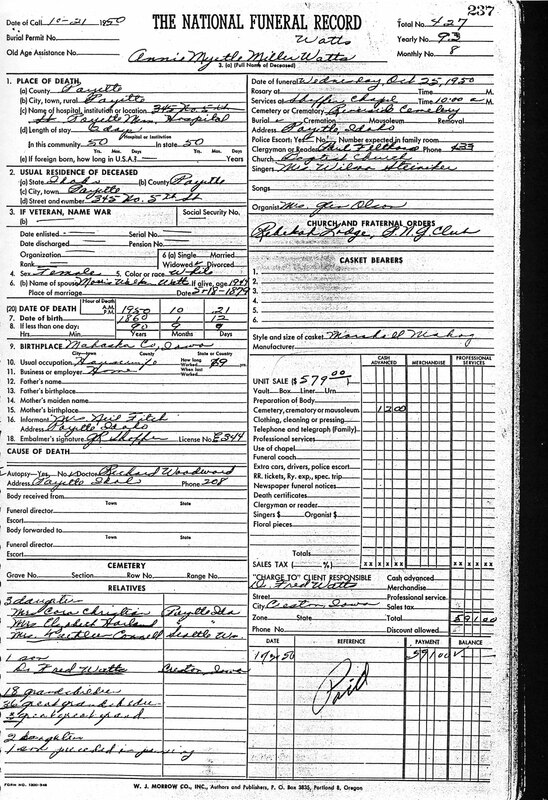 His funeral was held August 24, 1944 At the Lauden Funeral Home at 2pm. You can see his gravestone at the Riverside Cemetery in Payette, Idaho. Annie Myrtle Watts died years later in October 21, 1950. 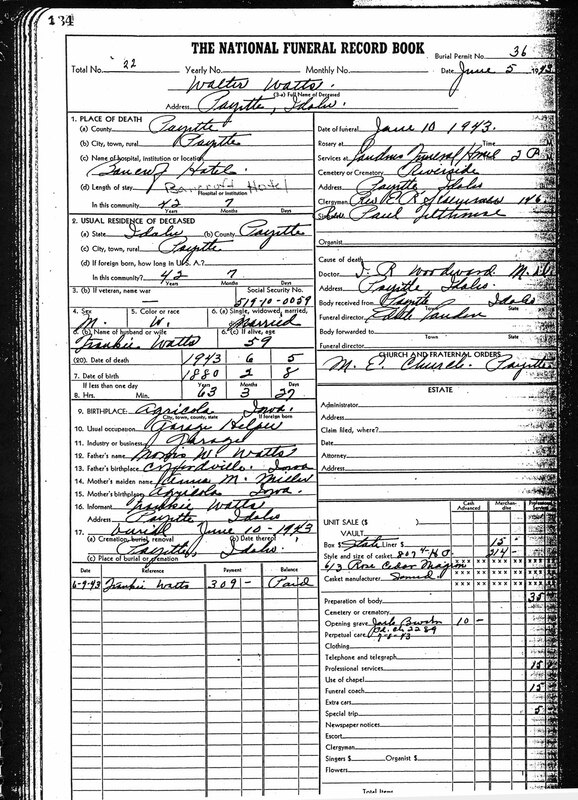 Her funeral was held October 25, 1950. Her service was also held in the Lauden Funeral Home. 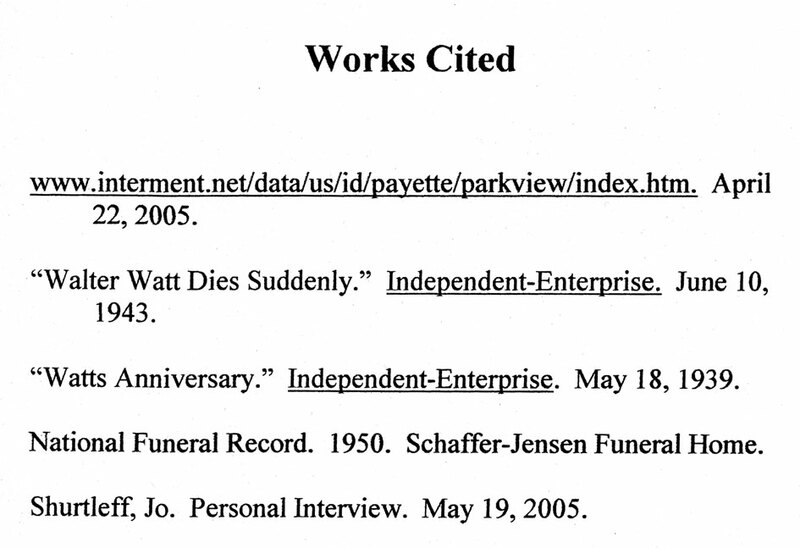 She was buried next to Morris Watts in the Riverside Cemetery.